EBay rolls out new delivery program to compete with Amazon Prime. 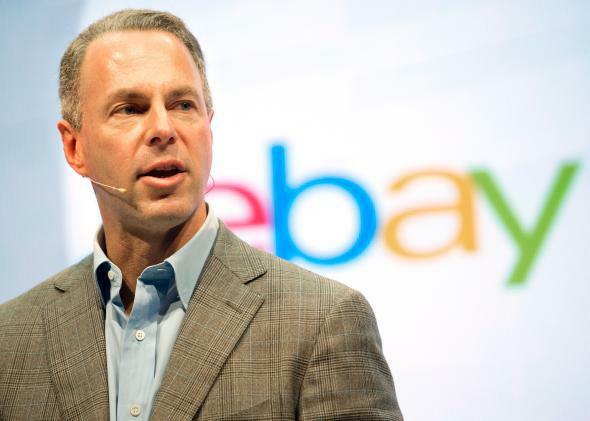 Devin Wenig, eBay’s CEO-designate, speaks in Berlin in September 2013. Last week it was Walmart getting into subscription delivery to ostensibly take on Amazon Prime; this week it’s eBay. The company is piloting a loyalty program in Germany that gives members benefits on shipping and returns, one which it plans to introduce there more widely in the second half of the year. A Web page advertising the program, to be called eBay+, doesn’t offer specifics on cost, but it’s been reported that the annual fee could be around €15 to €20, or about $17 to $22. That would make eBay’s loyalty offering among the cheapest out there. Amazon Prime—which comes with many more perks than free shipping—costs $99 a year, and Walmart’s service is being priced at $50. Ebay is promising better product placement for sellers’ merchandise, and also discounts on selling fees and a subsidy to help cut the cost of shipping and returns, according to a spokeswoman. Sellers will have to agree to dispatch goods on the day they are purchased and offer free returns within one month. The spokeswoman declined to disclose the price, and said eBay will have more details to share once it is introduced in the second half. While eBay’s program hasn’t started yet, the Street is reporting that people are already skeptical. Maike Fuest, eBay’s director of communications for Germany, told the Street that eBay+ will help sellers “commit existing customers even more strongly to themselves” and also “gain new customers.” But sellers are concerned that they’ll have the bear the cost of all these new eBay+ benefits. Customers, for their part, might wonder how eBay plans to standardize same-day shipping (and free returns one month later) when they are buying from scattered eBay sellers instead of eBay directly. EBay, after all, isn’t exactly the well-oiled logistics machine that Amazon is, nor has it built its reputation on customer service in the same way.